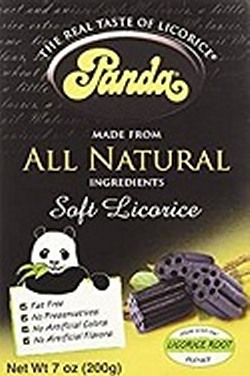 7 Oz of real Licorice candy. One of the best licorices on the market. Totally fat free and has 2 grams of protein per serving! Imported from Finland. All natural ingredients: Molasses, wheat flour, Licorice extract and aniseed oil. That's it! No added sugars, no artificial flavoring. No preservatives. No hydrogenated fats. No animal products (good for vegans.) It's even Kosher certified (if that matters to you.) :-) If you don't see anything here, you can choose something off this page.